As many of you know, I have going on this journey with my health. 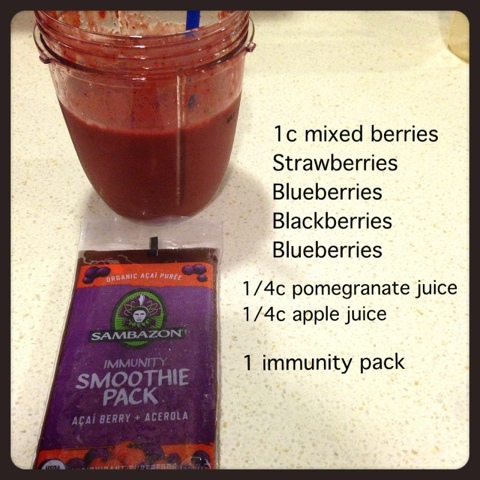 Last week, my husband and I did a mini detox for four days straight drinking nothing but juice/smoothies. In those four days we both lost five pounds each. We used our NutriBullet to extract fruits and vegetables into a liquid form which was better for us to consume rather than eat them. It is made by the same makers of the Magic Bullet. The NutriBullet is bigger than the magic bullet and really pulverizes fruits and veggies into a smooth liquid. No lumps, no chunks! 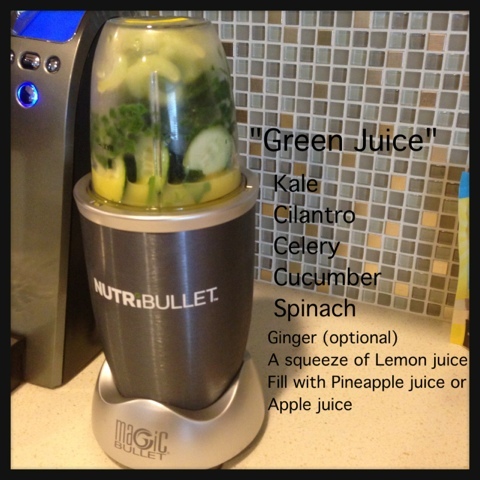 I was looking to invest in a juicer, but with a juicer you are stripping the good nutrients, fibers, and minerals. We also wanted to use something that didn't require too many parts or cleaning. This little machine works wonders. If you would also like to add nuts, like almonds, and seeds, like flax and chia to your drinks, no problem! It come with a special blade which turns those nuts and seeds into a powder like form. We purchased our machine from Bed, Bath, and Beyond with a coupon ( their coupons never expire - even if there's an expiration date) for less than $100. We have had a great experience so far with it and are very happy with its capabilities. No issues so far! Hope this helps you guys in your journey to better health! I was wondering how the detox was coming along. 5 pounds in 4-days??? Congratulations to you and yours Jennifer! 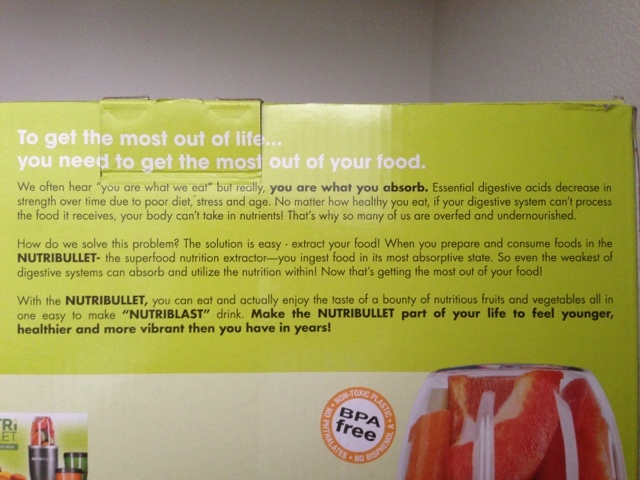 I've been reading several other NutriBullet reviews and most of them were pretty positive. I think what draws me to this is the simplicity and affordable price. This is definitely going on July's shopping list for me and my hubby. As always, great review Jennifer!